Mark P. McLoughlin is a fully licensed attorney admitted to the Michigan Bar Association in 1978 after graduating from the University of Detroit School of Law (J.D. 1978) and from Michigan State University (B.A. with honors, 1974). Mr. McLoughlin was also admitted to the California State Bar in 1979 and the District of Columbia Bar in 1984. Mr. McLoughlin’s practice of law is devoted 100% to consumer bankruptcy matters for the past several years and he has been handling bankruptcy cases for over 25 years. In earlier years he represented clients in State and Federal courts and administrative agencies; he has conducted jury trials and represented clients in matters of criminal law, divorce, probate, personal injury, general contract litigation, real estate transactions, worker compensation, as well as completing post-graduate studies at Georgetown Law Center and the McGeorge School of Law, representing a United States Congressman before the House of Judiciary Committee and being awarded a diploma of Advanced Studies in International Law (Salzburg, Austria 1984). Mark McLoughlin is a member of the National Association of Consumer Bankruptcy Attorneys. 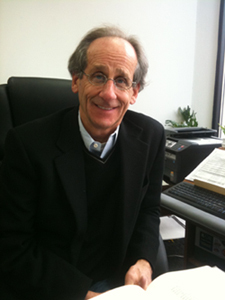 The law office of Michigan personal bankruptcy attorney Mark P. McLoughlin, located in Detroit, Michigan, represents clients throughout southeast Michigan in communities such as, Taylor, Lincoln Park, Allen Park, Roseville, Warren, Dearborn, Redford, Wyandotte, Port Huron, and Farmington.